When Alan Marmorstein, Ph.D., arrived on Mayo Clinic's Rochester campus four years ago, he had a specific goal in mind: Find a way to counteract the vision loss that often comes with common and inherited eye diseases like macular degeneration. 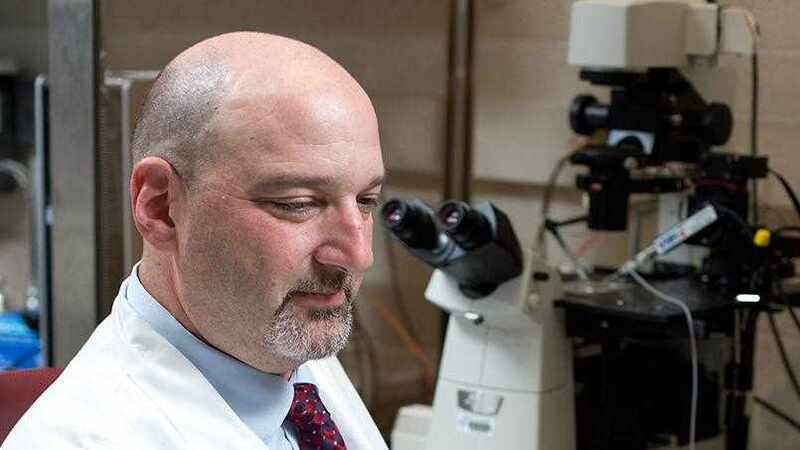 The biggest break in that quest to date, the Rochester Post-Bulletin reports, came when Dr. Marmorstein and his lab team at Mayo Clinic developed a new process for growing retinal pigment epithelial (RPE) cells, which are often used in eye-related research. According to the newspaper, stem cells reprogrammed from a patient's own skin cells can become these new and improved cells. Researchers believe that transplanting the new RPE cells into the retina could restore vision to those affected by macular degeneration. To Dr. Marmorstein's (and other researchers') delight, these new cells, which are created from induced pluripotent stem cells, are proving to be "of better quality than the standard RPE cells" used in research. And demand is growing, according to Twin Cities Business magazine. There's just one catch. (Isn't there always?) The process for making the new cells "is not trivial" and is "more expensive," according to the P-B/ Read the rest of the article.